Whisperdamp ALP10 damping sheets are light-weight, 14 mil thick (0.35mm) sheets that use the constrained layer principle to reduce resonant structural vibrations in the supporting panels. 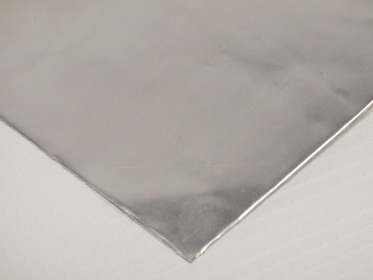 ALP10 is a metal foil sheet with a special PSA that also acts as the viscoelastic damping layer. Constrained layer damping is generally 3 times more efficient than the equivalent weight of extensional damping materials.